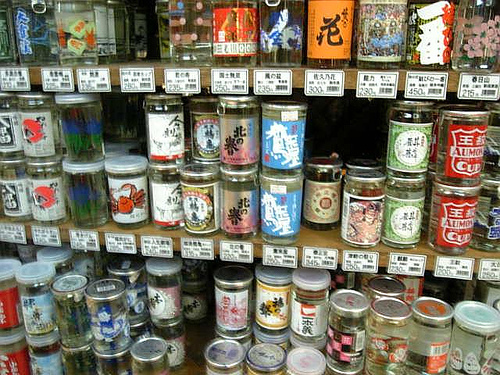 In Japan, varieties of cup sized sake called “kappu-zake” are sold at liquor stores, supermarkets, convenience stores and vending machines. 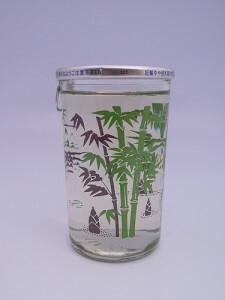 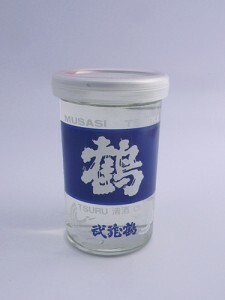 A glass container is made of glass and usually printed the same label as the bottle version of the sake. 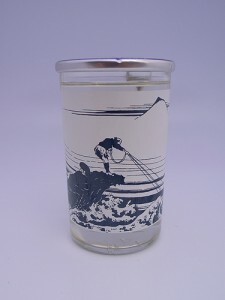 Most of the designs are Japanese style and beautiful, and because unlike miniature bottles, kappu-zake containers can be re-used at home, they are fun collect. 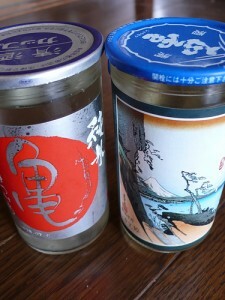 The price of kappu-zake is usually 250 yen (US$3.00) so you can casually enjoy one! 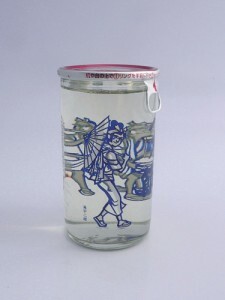 Quitting a Job as a Salary Man and Becoming a Fisherman!